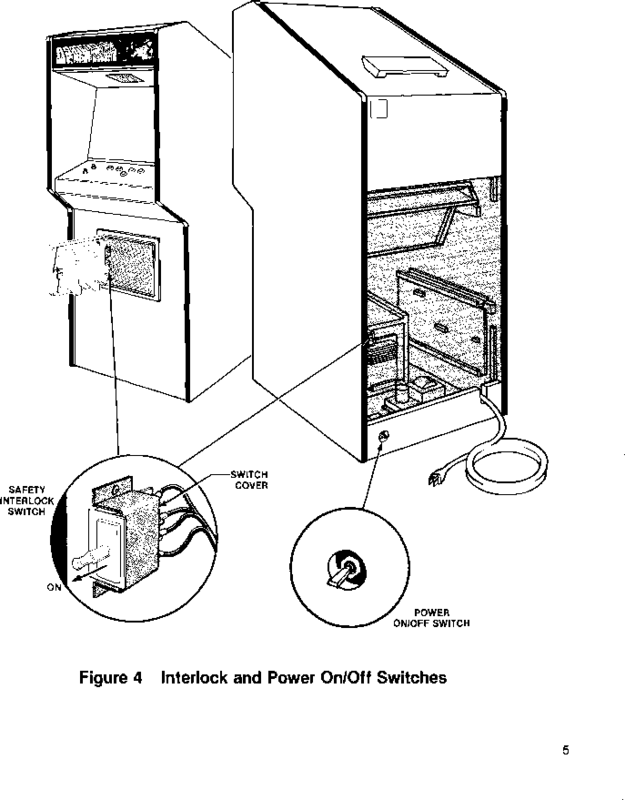 To minimize the hazard of electrical shock while working on the inside of the game cabinet, two interlock switches have been installed (see Figure 4). 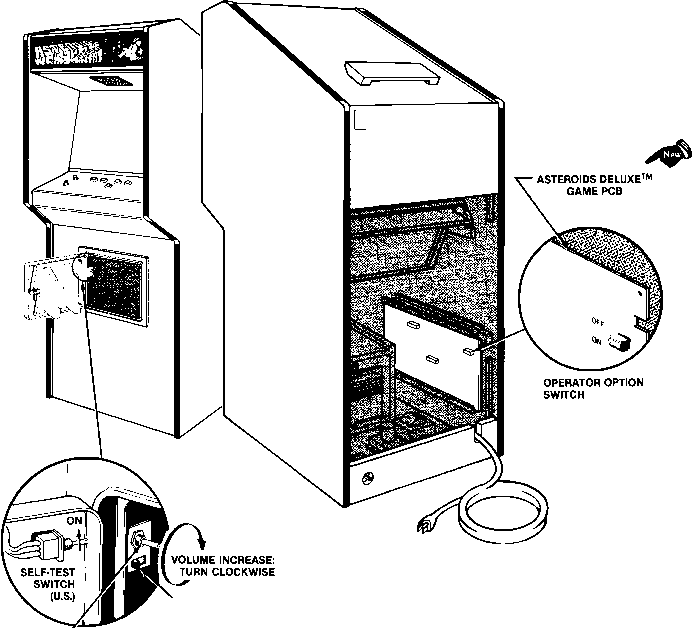 One is located behind the access panel and one is behind the coin door. These switches remove all AC line power from the game circuitry when a door is opened. • Plug the AC line power cord into an AC outlet. • Close the access panel and coin door. • Set the power on/off switch to the on position. Within 30 seconds the TV monitor should display a picture. • Slowly open the access panel. The TV monitor picture should disappear when the panel is opened approximately 2.5 cm (1 inch). Close and lock the access panel and repeat this step with the coin door. • If the results of the preceding step are satisfactory, the interlock switches are operating properly. 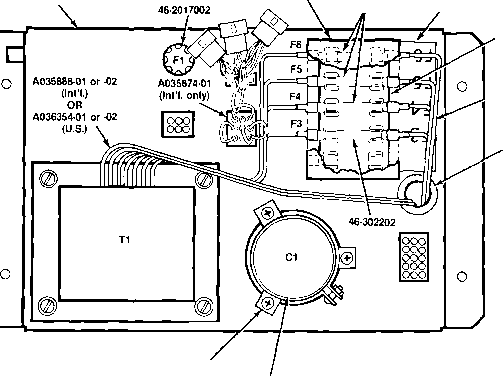 If the TV monitor doesn't go off as described, check to see if the corresponding interlock switch is broken from its mounting or stuck in the on position. This game will test itself and provide data to demonstrate that the game's circuitry and controls are operating properly. The data is provided on the monitor and the game speaker; no additional equipment is necessary. Part of the self-test procedure includes a display of the operator-selectable game options. Therefore, we suggest you run the self-test procedure in Figure 6 anytime you need to change the game's options.